By Jeff Billman·	 12/15/2010, 4:26 p.m. 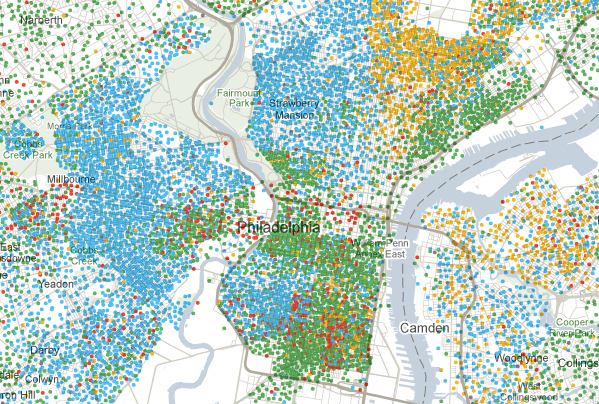 Courtesy of The New York Times’ Mapping America feature, here’s our city by ethnicity, based on the newest Census information: the green dots represent whites, the blue dots blacks, yellow dots Hispanic, and orange dots Asian. One more: Here is our city by education. The deeper the orange, the higher the percentage that has a bachelor’s degree or higher.